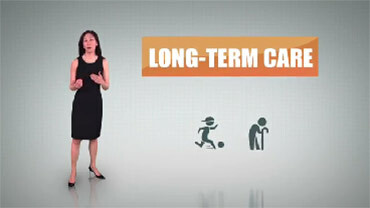 The likelihood that a person will need long-term care at some point in their life is over 70%. While it may not be for everyone, it is something everyone should consider. Whether you have already done some research on Long Term Care Insurance, or are brand new to the subject, Long Term Care Advisors is here to help you. We have over a decade of experience in educating consumers on LTC Insurance, and we have designed this site to help answer some of your questions. The cost of a semi-private room in a long-term care facility ranges from $60,000 - $100,000 per year, depending on where you live, and that cost is predicted to double by the year 2020. It's not something we like to think about, but according to the U.S. Department of Health and Human Services (HHS), about 70% of people turning age 65 will need long term care services at some point in their lives. What you should think about is protecting your hard-earned savings, retirement and home. A well-designed LTC Insurance plan can help cover all or a portion of long term care costs. We can help you understand your options and plan for your future, so you can enjoy your present.